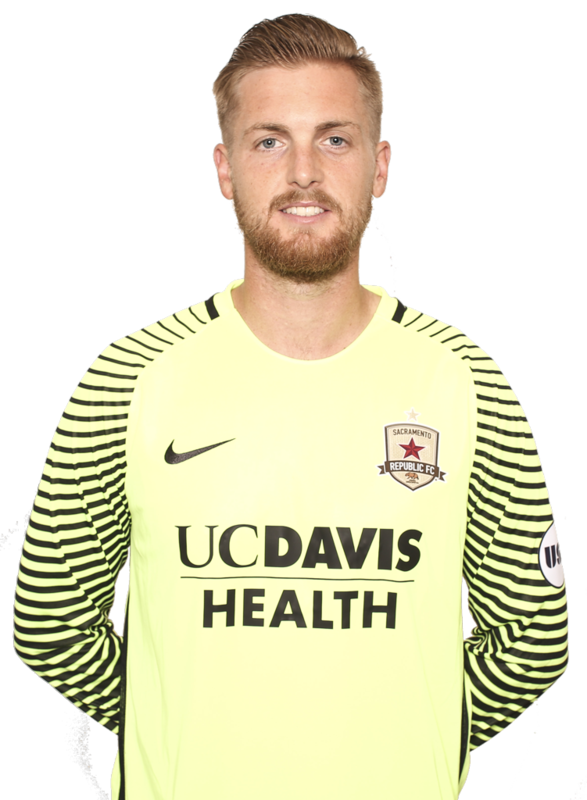 2016: Made 20 appearances in all competitions for Republic FC, including 14 USL appearances ... recorded a 6-2-6 record in USL matches ... Had a 0.93 goals against average in USL play, finishing in the top 10 among USL keepers that played 1,000 or more minutes. 2015: Appeared in 27 matches for Oklahoma City Energy FC, starting all 27 … Earned a 13-6-8 record helping lead Energy FC to a second seed in the USL Western Conference playoffs … Recorded ten shutouts on the season, second most in the USL and most in the USL Western Conference … Allowed just 33 goals for a goals against average of 1.22, fourth best in the USL Western Conference … Was a USL Goalkeeper of the Year finalist. 2014: Appeared in and started all 28 matches for Arizona United SC … Recorded 111 saves, second most in the USL … Accumulated five shutouts on the season on the way to a 10-13-5 record. 2012-2013: Spent two years with San Jose Earthquakes … Did not appear in an MLS match for the Earthquakes. 2011: Was drafted 7th overall by the Houston Dynamo in the 2011 … Did not appear in an MLS match for the Dynamo … Was loaned to FC Tampa Bay (NASL) … Appeared in two matches for FC Tampa Bay, earning a win and a tie, including a shutout. 2010: Appeared in 18 matches as a senior at Old Dominion University, starting all 18 … Allowed just 20 goals against while tying his collegiate career high with 74 saves … Recorded six shutouts … Became the Monarchs all-time leader in career saves (254) and shutouts (36) … Earned First Team All-Colonial Athletic Association honors. 2009: Appeared in 18 matches as a junior … Allowed 14 goals against for a goals against average of 0.75 … Recored nine shutouts, most in the CAA … Made 54 saves on the season … All-CAA Third Team selection. 2008: Redshirted the 2008 season due to injury. 2007: Appeared in 24 matches as a sophomore, starting all 24 … Allowed just 16 goals against for a collegiate career best 0.63 goals against average … Had a CAA-leading and collegiate career high 11 shutouts … Also recorded a collegiate career high 74 saves … Led Old Dominion to a CAA title … Earned Second Team All-CAA honors. 2006: Appeared in 17 matches as a freshman at Old Dominion, starting all 17 … Allowed 16 goals against for a goals against average of 0.97 … Recorded ten shutouts, including five straight … Was named to the CAA All-Rookie Team …Helped the Monarchs reach NCAA Championship Third Round. Parents are Tammy and Stephen Newton… Has a brother, Clayton … Enjoys cooking and playing sports in his free time … Favorite non-soccer sports are basketball and tennis … Had the nickname “Figgy” for his last name … Was a member of the U.S. U-17 Residency Program.